After eating lunch at Pocahontas State Park, we headed into Williamsburg and checked into our hotel. We had found a great deal on a package with one of the Colonial Williamsburg hotels. If you visit, I would suggest checking to see the prices. We were able to stay at the hotel within walking distance of the entrance AND get our passes for three days (we only used one) for about what it would have cost us for a hotel elsewhere in the area. So, we basically got our passes for free. And the hotel had a fabulous continental breakfast included. As I stated, we checked in during the late afternoon. It was really too late to head over since much of Colonial Williamsburg closes at 5 unless you have tickets for some of their special events. We knew we would be extremely tired by this point in our trip and so we elected to not push it. We stayed in the hotel room, vegged out, took a swim, ate dinner, and slept. We woke refreshed and eager the next morning. We got into Colonial Williamsburg about the time it opened. We took a tour of the Governor’s Palace right off the bat. It was spectacular. The armament was basically kept here and there were TONS of weapons. They created beautiful decor in the entry way. They also would have served well to warn folks about how serious the area was in their protection. The gentleman we had giving us the tour was well versed in his material and knew not just about the Governor’s Palace but was able to answer questions about all of the city and the history and time period. He did a wonderful job of acquainting us with the time and all that was going on in the area. The Palace was beautiful. It was furnished as close as they could to an original set up, including ordering rugs and paint colors to be done exactly as they would have originally. It was beautiful. From there, we hurried across the way to a museum so that we could hear a performance of the glass armonica. This is the instrument that Benjamin Franklin invented. It is glass and played by spinning the glass instrument quickly and playing the edges with wetted fingers. It was lovely and the music is ethereal. Dean Shostak is a well known musician and talked much about how to play the armonica, as well as how it is made. He performed a number of pieces on it for us. He also pulled out a glass violin he had had made. Now, it had nothing to do with the colonial time period but it was a stunning instrument. His performance on it was stunning, too. Needless to say, we came away with several of his recordings. After that, we just kind of wandered through the area. We ended up following a school tour and that allowed us to hear quite a bit more than if we had just come through on our own in several of the craftsmen’s shops. We did find that most of the folks were less than eager to answer questions, which was a bit disappointing. So, following the school group was a good thing for us. We visited the tin smith, the leather smith, the dress maker, the silver smith, the tavern, and the school. Many places were closed, which we found very odd. Another of my favorite parts came at the close of the day – the drum and fife group. We hung around to be able to hear them play their day ending ceremonies. They were dressed in stunning red uniforms and marched military style to their performances. They performed a number of pieces and it was lovely to watch. The drum and fife group would have been fairly essential to the life of the colony and it was a neat way to close out the day. I did find myself wishing we had time to go back the next day but we decided we needed to head on. We were heading to New Bern, NC, to meet someone for lunch so we couldn’t dawdle too long. Our time at Colonial Williamsburg was very interesting and the girls still talk about hearing the glass armonica. That will be a lasting memory and well worth the trip. As you probably know by now, we really like the resources we find on SchoolhouseTeachers.com. We are so blessed to receive a Yearly Membership to this wonderful resource for sharing about all the learning this site makes possible for our family. It is awesome! At the beginning of December we had an international feast night. In order to prepare, we accessed a large number of resources on SchoolhouseTeachers. From the video titled India Unveiled in a series titled Trek to the Holy Land to a history study titled A Splash of Geography with a section on India, we had access to lots of good information and images. There are lapbooking sets on the rhino and the Bengal Tiger. By far, the best resource on this site was Asia: Trade Route Safari by Bonnie Rose Hudson. This is just one example of how SchoolhouseTeachers can aid a family in unit studies. We could have completed an entire study on India just from this one source. This is a very powerful resource and we have used it often over the past few months researching topics like Stalin, snowflakes, holidays around the world, and birds. Another fantastic resource that seems to be growing ever richer in content is the Video Library. This set of videos is accessed from the SchoolhouseTeachers site and includes access to hundreds of streaming videos from companies such as Drive Thru History, Right Now Media, Creation.com, City on a Hill, and much more. There are videos to support just about anything you are doing and some are complete courses. Our family has used a number of these through the years, though Drive Thru History is probably our absolute favorite. The girls even ask to watch from the video library when they have video free time. Quality videos for free time? Sure! We are using a couple of different courses this year in full from SchoolhouseTeachers. Friendly Chemistry is a complete course, worth 1/2 credit at the high school level. My 8th grader decided she wanted to study chemistry this year and so this is the course we went with. We are using it on a relaxed basis, twice a week. We have PDFs to print out or read online. We are printing so she can have a “textbook” afterwards to refer to later on if needed. It also have a video component, where the course is taught by a teacher. It is a video lecture but does a great job of explaining the concepts. There are also links to an external site to help me learn about the suggested activities, showing videos of them. Well, since this is a class of one and many of the activities are designed for multiple students, we are watching these videos so she can learn the information as though a part of a group. It has been fantastic! Another class that we just finished using was the People and Places of WWII. This is a printable resource but it does have clickable links if you are accessing it online. It takes you through many of the important moments and time of the war and gives a richer understanding of what people went through in different parts of the world and the war. My younger middle school student used it last year and my upper elementary student is using parts of it to go along with her study of the American Girl book Molly. This resource has really enriched our readings. From the Parent Resources to Planning (with complete printable planners for homeschool parents and for students) to complete classes and more, SchoolhouseTeachers.com is a wonderful resource that I cannot imagine schooling without. And right now there is a sale you really don’t want to miss. You can get the Yearly Membership for only $90 (regularly $179). And even better is that for as long as you are an active member, this price will not increase at yearly renewal. Lock it in now. Before the end of the month! Not sure if this is right for your family? Do a short trial for just $5. It is a quick way to access the site and find out if this is for you. Just don’t forget that the above mentioned special ends in just a couple of short weeks and then it goes back to regular price. Want to pay monthly? You can do that, too. We love having this resource at our fingertips. 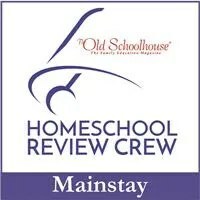 Many other Homeschool Review Crew families do to. Click the banner below to read about their experiences and the classes/resource they checked out recently. Life is precious. And important. And God-given. God gave us our three sweet children to raise to follow Him. They are His children first and we are to point them towards Him. That would be reason number one in our “why did you choose to homeschool” list. But not the only reason and not the only important one, either. You see, we want relationships to come first. And the public school system wasn’t letting that happen. Too much focus on schoolwork, tests, and reading that wasn’t really benefiting the girls at all. Stress was beginning to creep into our children’s lives over something that wasn’t important at all. It was affecting our home and it was too early for them to deal with these things. And right on the heels of that: we want our girls to love to learn. Their love of learning, their curiosity, was dying. Whether it was from doing boring things or from stifling their natural creativity, the girls were losing their interest, their drive, and their enjoyment of life and learning. At Home Dad works a non-traditional schedule. This came into play very strongly in our decisions. Every other month, he barely saw the girls and we could feel that affecting that all important daddy-daughter relationship. We talked to a couple who we value that homeschooled their children and asked questions of them. We read a few things and decided where we would begin at. And then we told the girls. They were excited! They had never really heard of homeschooling but they were pleased to try this new thing out. And you know what? It has been a blessing time after time. All of these things here, and more, have benefited from us starting this pathway, this journey. But most of all, we have found freedom for life. Life is precious. Don’t take the moments of it for granted. God gave us our children to bring us in his steps, his path, his way. I want my children to be pointed towards heaven, towards God, in all we do. This is our “why” for homeschooling. Note: all posts will be live after 8 am EST, Monday, January 8, 2018..
No, I am not brand-new to homeschooling but after watching the introduction to How to HOMESCHOOL with Stunning Confidence, Contagious Joy, and Amazing Focus (DVD & Coursebook) I was very interested in reviewing the program. You see, we all struggle with confidence and the daily parts of home education and this program from Apologia Educational Ministries has really helped me with that. Apologia sent me the How to Homeschool course and it is, like all of their materials, beautiful. The course consists of two DVDs and coursebook. The DVDs come in a plastic case that fully protects them for the journey to your doorstep. The course book is a softback, center stapled book of 72 information-packed pages. These two parts of the course work so easily together. There are 15 chapters, each with a corresponding video and text in the course book. The course is designed to encourage a first time homeschooling family to step forward in faith and courage. Rachael Carman and Leslie Nunnery invite you into the living room to sit and chat about what comes next. These conversations are comfortable and easy and they show us that there are many ways to approach the homeschool journey but that all of the journeys share one thing: love of family. That is where they all begin and in these conversations, Mrs. Carman and Mrs. Nunnery encourage you to take the baby steps necessary to equip yourself with confidence and knowledge to educate your loved ones. I have been so encouraged in my homeschool journey by watching these videos and working through the book. While these are aimed at brand-new homeschooling families, I want to share that there is a lot of information in here to be gleaned by any homeschool family. We are about to begin our 5th year of homeschooling and I have been so uplifted in my dedication and desire to continue on with the girls. I have been reminded that not everything works the way we desire or imagine and that is okay. I have been given so many tidbits and nuggets of wisdom just by listening to the conversation of these two ladies. So, how did I use this course? Simple, really. I read the chapter in the text. That was generally about 3 pages. I underlined tidbits that I wanted to remember or that caught my attention as I read. Those pages are followed by a space to complete the assignment for that chapter and then by a page for your notes. After reading, I would put on the DVD and watch and listen to the conversation of the ladies about the topic. While listening, I would take notes: things I needed to do different; statements that encouraged me; ideas to think on; reminders of things I have known. I found this to be a relaxing way to spend a few minutes at the end of my days and I would go to bed encouraged. Each chapter takes only about 20 minutes to read the text and watch the DVD. The assignment time varies depending on how much of the assignment you might have already done and how much thought and prayer needs to go into it. These included writing down why you chose to educate your children at home, looking at options following high school completion, taking inventory of time commitments, visiting with veteran homeschoolers, or evaluating your strengths and weaknesses. All these are bit and pieces of assignments that will help you become who God is leading you to be in your homeschool journey. As one who has homeschooled for a short while already, some of these assignments were already done and just needed revisited and touched up. For a brand new homeschooler, some of these will take a lot of thought. That is okay – there is not rush to complete this course in a set amount of time. Work through it. Process it. Absorb the wisdom that is shared. Take your time and get everything out of it you need so that as you walk this journey, you know that you are prepared. An additional resource is found on the Apologia website. When you purchase the course, you are given access to extras that are found only online. You will receive a web address and password code in the book that will give you access to these extras. From resource links to printable pages to lists and Pinterest boards, there are so many additional helps that I have yet to make it through them all. This is a definite bonus! If you would like to see a sample of the first conversation in this DVD series, visit the Apologia website for How to HOMESCHOOL with Stunning Confidence, Contagious Joy, and Amazing Focus (DVD & Coursebook). There is a video on their webpage or you can watch it here. I cannot recommend this course highly enough. I found this to be such a pleasant way to renew my courage for home education, to find more joy, to brave the daily challenges. I found encouragement and really am moving forward with “stunning confidence, contagious joy, and amazing focus.” Well, at least I hope I am. I feel more confident, courageous, joyful and focused. And that? Well, that’s the whole reason to challenge myself in this way, isn’t it? Read about what other families thought about How to Homeschool as well as Internship for High School Credit by clicking the banner below.